In 1941, Indiana University alumni Frank O. Beck (A.B., 1894, and A.M. 1905) and Daisy Woodward Beck (A.B., 1899) gave the university an endowment for the construction of a chapel for prayer and meditation. 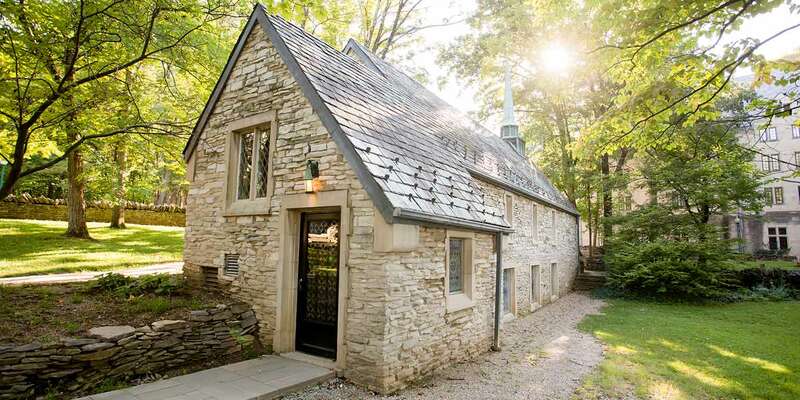 Completed in 1956, Beck Chapel is constructed of Indiana limestone and wood from the forests of southern Indiana. Its design blends styles of religious architecture and incorporates symbols from different religious traditions. 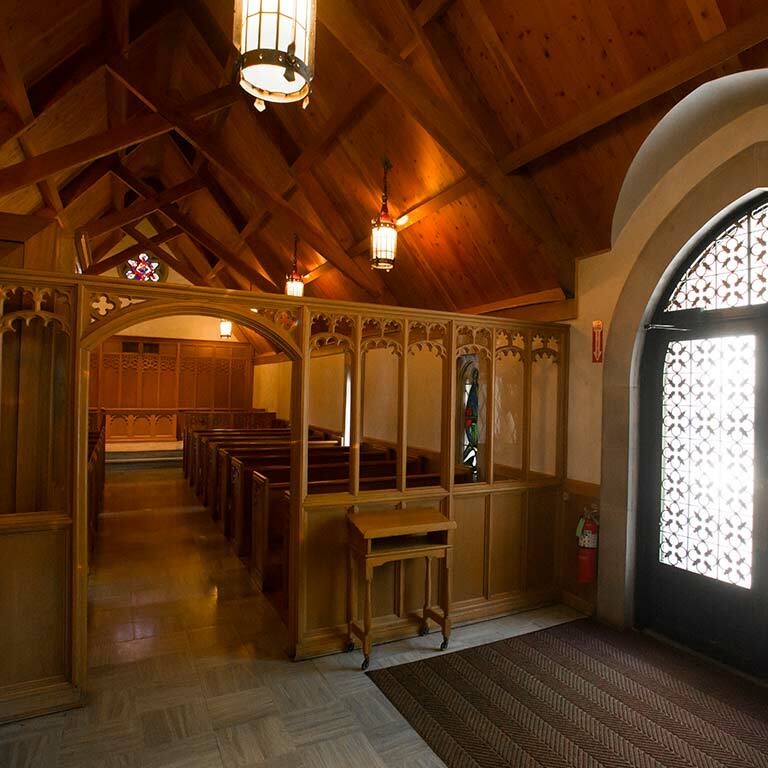 Beck Chapel can be reserved for weddings, memorial services, and other events of a religious nature. It is open to the public for prayer and meditation every day, unless it is reserved for a private event. 10:30 a.m. to 1:30 p.m., with an event start time of 11:30 a.m.
1:30 to 4:30 p.m., with an event start time of 2:30 p.m.
4:30 to 7:30 p.m., with an event start time of 5:30 p.m.
You may use your own officiant at the ceremony. You may reserve Beck Chapel up to one year in advance. To make a reservation, contact IMU Meeting and Group Services at 812-855-1808 or chapel@indiana.edu, or use our online reservation form.